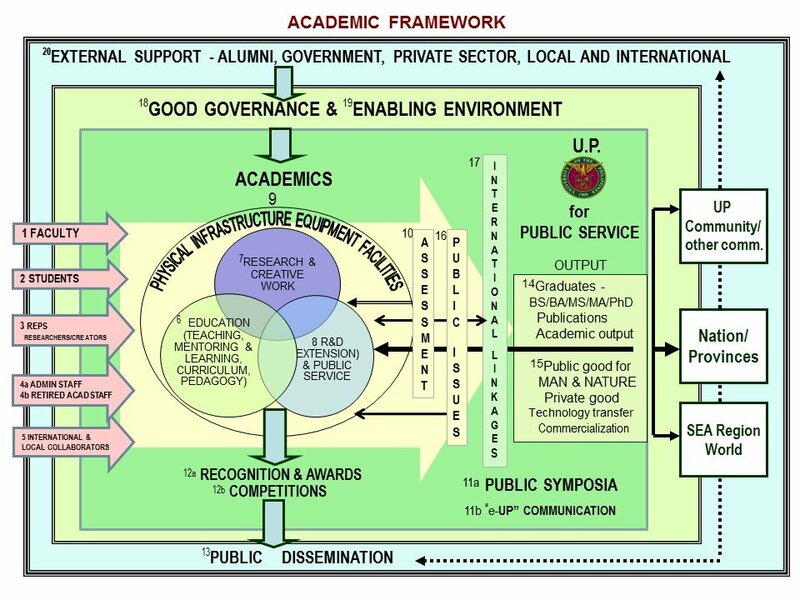 Correlation Between Leadership Ability and Achieving Styles of Student-Athletes of the University of the Philippines Los Baños. Asia Life Sciences, 23 (1): 207-219, January-June 2014. Literature agreed that merely participation in athletic activities lead to influences on leadership development and leadership skills of individuals. Leadership ability is viewed as being relational process in which people are engaged towards accomplishing a common goal. It involves multiple capacities which occupy the functions in leadership skills. Several leadership studies have found the achieving style model to be useful framework for understanding leadership styles of men and women. Achieving styles are the characteristics ways in which individuals go about getting things done. This study examined the self-assessed leadership ability and achieving styles of student-athletes. Results suggested that sports activities contribute positive impact not only in cultivating healthy lifestyle for every individual but also provide challenging experiences which develop leadership. Leadership traits such as self-esteem, determination, focus, empowerment, and self-discipline are strengthened through participation in competitive sports. Male and female student-athletes regardless of sports event generally satisfied and comfortable working with others to achieved tasks. However, they have inadequate confidence to exhibit expertise in their own event that is why they refuse to be in leadership position. Therefore, it is recommended that coaches or department heads help and teach student-athletes on how to draw in multiple achieving styles and ensure that it makes progressive impact on performance. Economic Vulnerability and Analysis of Adaptation Options to Coastal Erosion in San Fernando, La Union. Journal of Environmental Science and Management, 15 (2): 35-49, December 2012. The Philippines, with its long coastline, is naturally vulnerable to climate hazards. One of which is coastal erosion. Coastal erosion or shoreline retreat affects the society in many ways. Beaches and productive lands can be lost along with the livelihoods that depend on these lands. Communities can also be displaced as properties and infrastructures become encroached by the sea. Realizing this threat, researchers from the University of the Philippines Los Baños conducted a study assessing the economic feasibility of options that can minimize the impacts of the hazard. The study was done in San Fernando City, La Union, one of the coastal cities identified to be very vulnerable to coastal erosion. 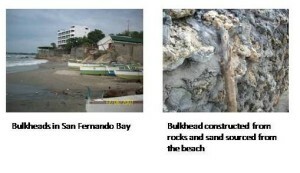 Based from their projections, about 300 structures, 283,085 m2 of land and 123,033 m2 of beach along San Fernando Bay will be lost to coastal erosion/shoreline retreat by the year 2100. At present, households and businesses adopt a “hold the line” strategy, employing seawalls to protect their properties. However, this can lead to the enhanced erosion of beaches in front of the structure. As alternatives, the researchers identified two options: “planned protection” using vegetation to protect the threatened lands and “planned retreat” wherein communities are relocated further inland. Applying Cost Benefit Analysis (CBA), the study identified that planned protection is the best strategy garnering a net present value of about PhP 127 million. This was also found to be socially feasible, with 65% of the households surveyed in the study stating that they agree with its implementation. Biogenic Synthesis of Gold Nanoparticles by Plant Growth Promoting Bacteria Isolated from Philippine Soils. 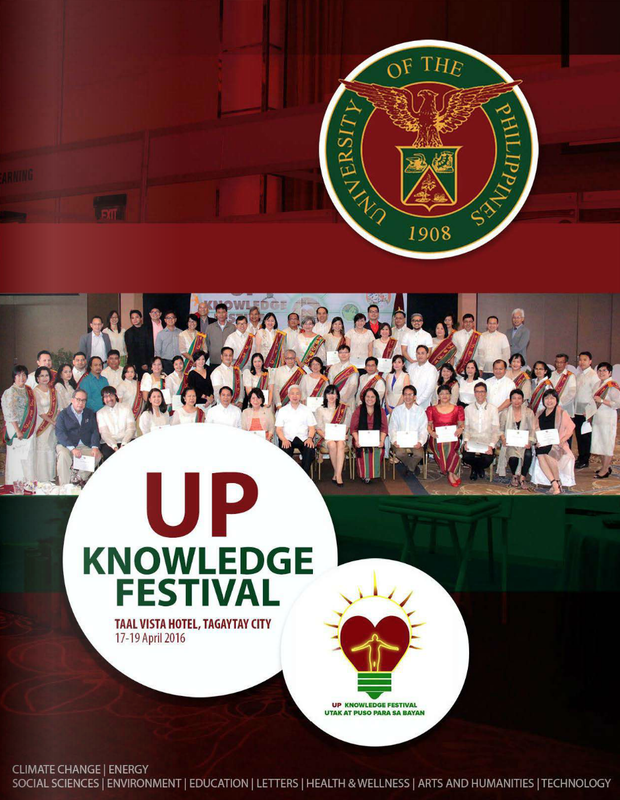 Philippine Agricultural Scientist, 96 (2): 129-136, June 2013. The development of reliable, eco-friendly processes for the synthesis of nanoscale materials is an important aspect of nanotechnology. In recent years, the synthesis of nanoparticles has been the focus of interest because of their emerging applications in the food industry, agriculture and medicine. Gold nanoparticles have gained increasing interest due to their specific features such as unusual optical and electronic properties, non-cytotoxicity, high stability, biological compatibility, controllable morphology, size dispersion and easy surface modification. Gold nanoparticles scatter light with an intensity which is much brighter than that of chemical fluorophores. This paper explored the biological synthesis of gold nanoparticles using plant growth promoting bacteria (PGPB) isolated from Philippine soil. Biological methods for nanoparticle synthesis using microorganisms, enzymes, and plants or plant exudates have been suggested as possible ecofriendly alternatives to chemical and physical methods. The biological synthesis of nanoparticles has created an intersection point between nanotechnology and biotechnology which has led to the development of novel materials having applications in plethora of fields. Promising PGPB isolates were screened for their ability to convert ionic gold to metallic gold. Electron microscopy and spectroscopic analyses showed that spherical gold nanoparticles which range from 10 to 100 nm were synthesized in the culture supernatants of the selected promising PGPB isolates. The results indicate that the selected PGPB isolates can also be utilized in the production of gold nanoparticles in addition to their application in plant growth promotion. Agency and Governmentality: The Regulation and Resistance of Muslim Students in a Public High School. Asia-Pacific Social Science Review, 13 (2): 63-78, December 2013. This study is an attempt to show how the notion of governmentality can be used to illustrate the regulation of Muslim students while engaging in self-making in the context of the disciplinary field of a public high school. Using field work data, this paper argues that Muslim students are not just passive subjects; rather, they are active agents in constituting their identities while simultaneously subjected to the power relations in the school. Policies should be formulated to address the problems generated by current specific form of school disciplines that normalize Muslim students in public schools. 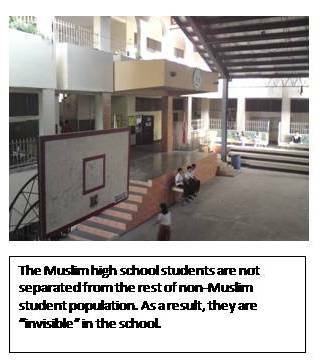 The study can be used to formulate school policies to improve the treatment of Muslim students in public high school. Attitudes of the University of the Philippines Los Baños Students Towards Physical Fitness and Exercise. Asia Life Sciences, 23 (1): 255-266, January-June 2013. Physical education has been an essential part of the education curriculum. 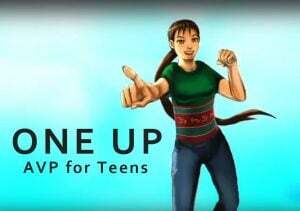 It provides students knowledge on the foundations of physical fitness and exercise. Maintaining good health and physical condition and getting regular exercise are important to male and female college students. Exercise would train the students to control emotion and action, and therefore, after participating in different activities, students fit in better with the social environment (Gallenero, 1977). Integration of physical, social, emotional, and intellectual factors helps a student to unfold as a better person and a good citizen as well. Hence, this study aimed to determine the Attitude on Physical Fitness and Exercise of students enrolled in Physical Education 1 U.P.L.B. This specifically aimed to measure the attitudes of U.P.L.B. students toward Physical Fitness and Exercise in terms of gender. Influence of Different Feeding Rates Using Commercial Dry Pellets on Growth, Feed Efficiency and Survival for Hatchery Produced Sea Bass Lates calcarifer. ABAH Bioflux, 5 (2): 241-248, December 2013. The best specific growth rate (SGR) was 0.48±0.11, food conversion ratio (FCR) of 1.97±0.027, feed efficiency (FE) of 0.51±0.013 and protein efficiency ratio (PER) of 1.06± 0.031 were recorded for fish feed at 12% daily application feeding rate and the difference between fish fed at 12% body weight per day was statistically different (p > 0.05) from other groups of sea bass fed at 3, 6 and 9% body weights per day. For the whole body composition, the feed application rate of 12% had a significant effect on the crude protein (18.42±0.00), crude lipid (6.36±0.03) but no significant differences were detected for the ash concentration among the different treatments. The survival rate (80%) of the fish during the experiment did not differ significantly (p < 0.05) among the treatments. Useful Plants of Selected Ayta Communities from Porac, Pampanga, Twenty Years after the Eruption of Mt. Pinatubo. Philippine Journal of Science, 142, Special Issue: 169-184, November 2013. A survey of useful food and medicinal plants was conducted among the Ayta from three barangays of Porac, Pampanga. Twenty years after the eruption of Mt. 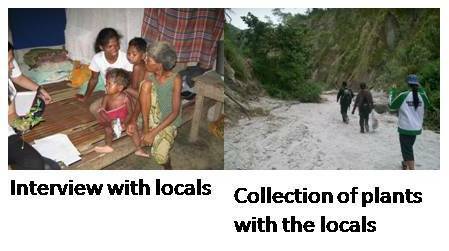 Pinatubo, the Ayta communities of Porac have experienced extensive changes in their life, culture and society. In the survey, 83 plants were used as food and 167 plants used as medicine. The most number of species are classified under the legume family. The food and medicinal plants used by the Ayta communities declined in number as compared to the study of Fox in 1952. A contributing factor to the decline may have been the dislocation of the communities and the loss of the forest after the eruption of the Mt. Pinatubo. Likewise, the acculturation and integration into prevailing society has affected the lives of the Ayta but their botanical knowledge remains an important part of their future. Selection of Entomopathogenic Fungi Against The Red Spider Mite Tetranychus kanzawai (Kishida) Tetranychidae: Acarina). Arthropods, 2 (4): 208-215, December 2013. The pathogenicity of fourteen entomopathogenic fungal isolates, belonging to Metarhizium anisopliae, Beauveria bassiana, and Paecilomyces lilacinus species from the Philippines and Indonesia, against Tetranychus kanzawai was investigated. Preliminary screening for the most pathogenic isolate within the same species was determined using suspension with 104 to 108 conidia ml-1. At 4 days after treatment (DAT), the pathogenicity within M. anisopliae isolates in decreasing order was Ma5>Ma6>Ma4>Ma2>Ma1> Ma3>Ma7 while for B. bassiana, was Bb6>Bb5>Bb4> Bb3>Bb1>Bb2. The top three most pathogenic isolates within the two species were subjected to further studies to determine the most virulent isolate against T. kanzawai. At 5 DAT, the LC50 values of M. anisopliae isolates ranged from 5.0 x 102 to 1.4 x103 while for B. bassiana ranged from 1.2 x 103 to 2.4x 103 conidia ml-1. Based on LC50, the virulence of the fungal isolates within the species in decreasing order was Ma6>Ma5>Ma4 and Bb6>Bb5>Bb4. However, the LC50 values are not significantly different from each other. Green house trials showed that the epizootic of entomopathogenic fungus could regulate the population of mites. The fungal isolates used in the study, although not originally isolated from mites were virulent to T. kanzawai, indicating their wide host range. Kinetic Model Study of Moisture Sorption-Desorption-Resorption in Triangular-Shaped Vinyl Ester Filler/Epoxy Composites. Journal of Materials Science, 49 (2): 886-896, January 2014. 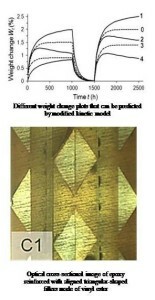 We modified and extended an existing mathematical model to describe moisture sorption-desorption-resorption in epoxy composite reinforced with aligned triangular-shaped fillers made of vinyl ester at 80 degrees C. The derived diffusion model was found to be in good agreement with our experimental results. 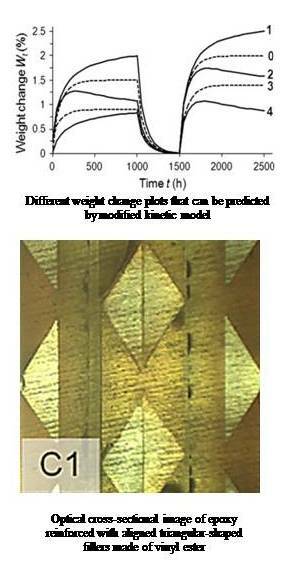 We then apply statistical analysis on the model parameters to determine the influence of triangular-shaped filler parameters on experimental moisture diffusion in epoxy composites. We found out that filler alignment, spacing, and orientation significantly affect moisture diffusion in epoxy composites at various stages of the experiment. Physicochemical Properties of Bignay [Antidesma bunius (L.) Spreng.] Wine at Different Stages of Processing. 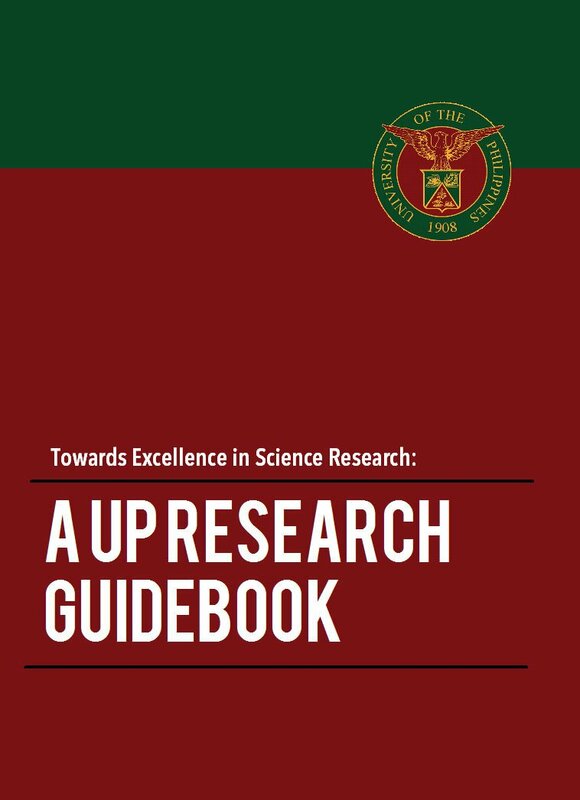 Philippine Science Letters, 6 (2): 249-256, December 2013. 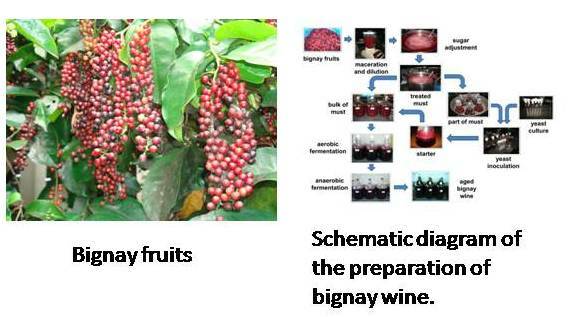 Bignay fruits were used in the preparation of red wine. Must and wine samples were collected at different stages of processing and analyzed for the following physicochemical properties: pH, total titratable acidity, total soluble solids, total sugars, total reducing sugars, alcohol content and amino-nitrogen. 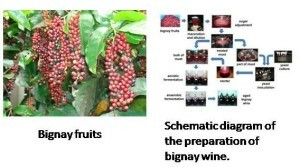 Results indicated that the changes in the physicochemical properties of the must/wine samples at different stages of bignay wine processing are correlated with each other. A good knowledge of the changes of the physicochemical properties of local wines during processing would contribute to the development of good quality wines, which would be beneficial to local wine manufacturers. Geological Features of a Collision Zone Marker: The Antique Ophiolite Complex (Western Panay, Philippines). Journal of Asian Earth Sciences, 65 (25): 53-63, March 2013. 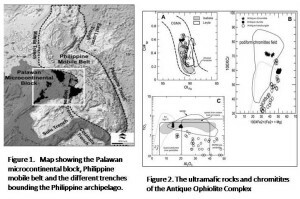 A seafloor that formed between 200 to 65 million years ago once existed east of the Palawan Microcontinental Block (PMB). With the collision of the latter with the central Philippines, fragments of the seafloor were trapped within the western sections of Panay Island. The exposed sections of the fragments today constitute the Antique Ophiolite Complex (AOC). The latter was discovered to be of variable chemistry, such that its uppermost (volcanic) and lowermost (peridotitic) sections are not only similar to those found along submarine ridges of large oceans, but are also typical of rocks with compositions intermediate between that of submarine ridge and island arc. This variation in chemistry, and the participation of water in chromitite formation, suggest that the AOC was formed on or near a subduction zone. 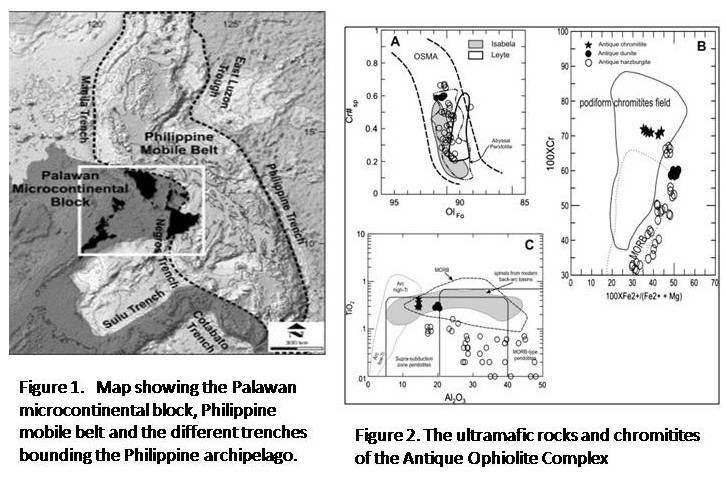 Along with the emplacement of the AOC, the collision also resulted in the clockwise rotation of Panay, counterclockwise rotation of regions north of Panay, initiation of serpentinite diapirism, and thrusting east of the collision zone. Bathymetric survey further showed that the leading edge of the PMB have spread laterally since its bouyant continental rocks prevented it from subducting. Spatio-temporal Variation of Conversational Utterances on Twitter. Plos ONE, 8 (10): e77793 9 pages, October 2013. Using 229 million conversational tweets (utterances) collected over a span of three years, we found that those tweets became shorter. This observation is robust: it held even after restricting to English tweets or after removing URLs, among others. Grouping tweets based on the posting location showed that those coming from eastern and southeastern US states tend to be shorter. 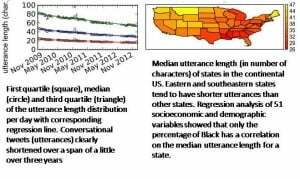 Among the 51 socioeconomic and demographic variables that were regressed with the utterance length, only those related to the percent Black population showed some correlation. 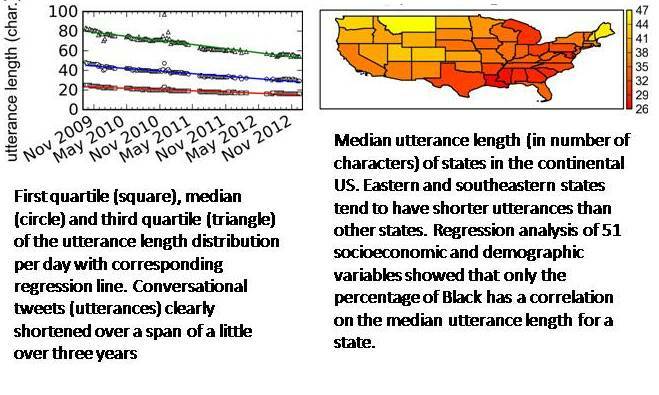 That is, US states with higher percent Black population tend to have shorter utterances. The shortening, it seems, can be explained by increased usage of jargon, which in turn provides evidence of segregation into groups. People who are engaged in a conversation communicate using a shared context, which may utilize a more specialized lexicon (jargon or even coined words). Although utterances are expected to be less clear due to the use of fewer words, the use of context prevents this from happening. Landscape Pattern Analysis in Argao River Watershed Reserve in Argao, Cebu, Philippines. Asia Life Sciences, 22 (2): 443-458, July-December 2013. The Limitations of Climate Change Donor Intervention as deus ex machina: Evidence from Sorsogon, the Philippines. International Development Planning Review, 35 (4): 371-394, October 2013. Evaluation of Graded Levels of Cooked Pigeon Pea Seed Meal (Cajanus cajan) on the Performance and Carcass Composition of Asian Sea Bass (Lates calcarifer). ABAH Bioflux, 6 (1): 1-9, January 2014. The results of the present study show that boiled PSM could be used as dietary protein source for sea bass. The level of dietary inclusion of boiled PSM at 10%, replacing 5% of the protein in the diet is considered as the optimum level for the growth and feed utilization for sea bass. Growth and feed efficiency could have been improved in fish if graded levels of boiled PSM at 20-30% were supplemented with essential amino acids such as lysine, methionine and cystine with squid meal added in the diets as an attractant.